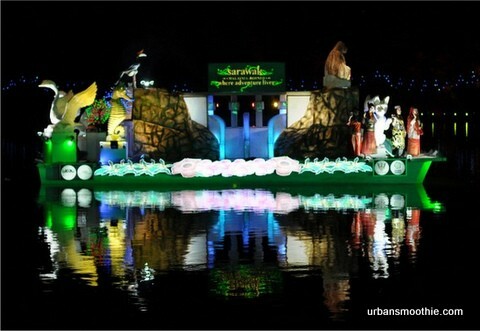 Is the annual Putrajaya Floral Festival again and this year they are featuring 'Magic of the Night' with a night parade of floral float. This is my first time as a live spectator watching floral float. There were a total of 14 participating floral floats that drift across the Putrajaya Waterfront one by one starting from 8.30pm daily from 30 June to 8 July. The view of the parade during the night was simply amazing and the international participants include China and Kenya, while most of the states in Malaysia were also there as well. Check out the photos we captured during the night event. 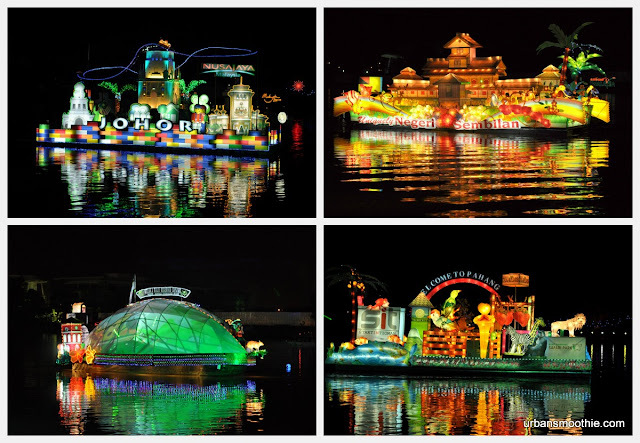 We had actually visited the Putrajaya Floria 2012 last weekend, but later on I found out from mynicegarden.com that there is this 1Malaysia International Tourism Night Floral Parade 2012 themed ‘Magic of the Night’ that features boat parade by the waterfront. 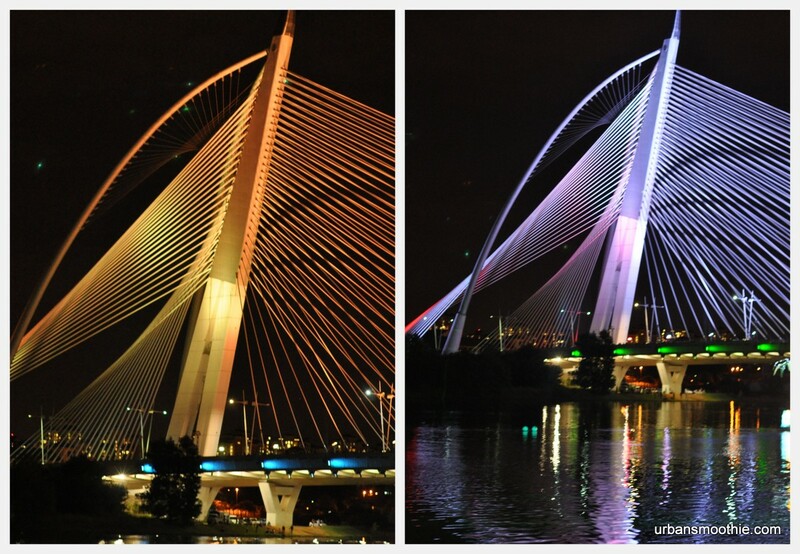 Therefore we decided to pay another visit to Putrajaya during a weekday night to witness the boat parade. It was a Wednesday night that the crowds were overwhelming. We can’t imagine visiting it during a weekend night. 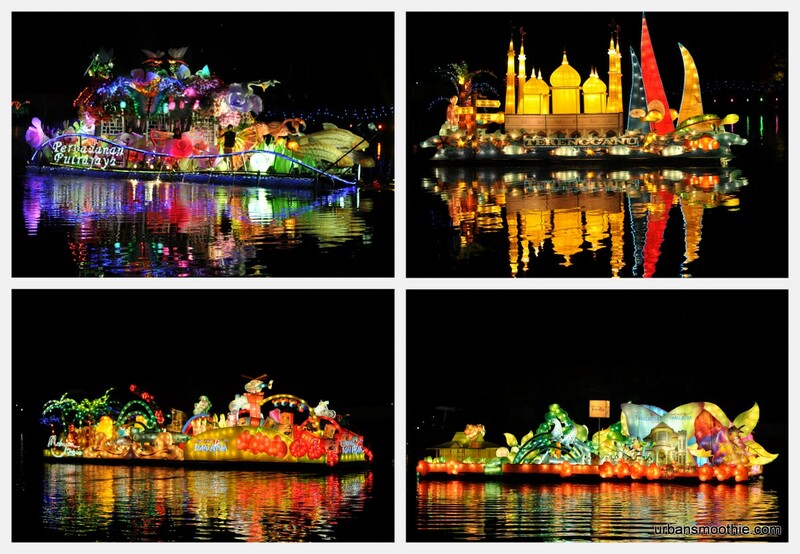 The boat parade starts at 8.30pm until 10.30pm for eight consecutive nights. There were a total 14 participants that took part in this competition. We reached at 9.15pm and brisk walk directly towards the waterfront. The crowd had already gathered around all the best spots and we can hardly place our tripod. In the end, Mr. B made do without the tripod itself. Our timing was just right, the theme song had just finished performed by the local artist and they had just started with the boat parade. Thus, we manage to capture all photos of the 14 boats. The first boat that was being featured was from Suzhou, China and followed by Kenya. These were the only two international participants that we saw. Later on, all the state boats took their turns, which include Johor, Melaka, Sarawak, Perlis, Terengganu and etc. Honourable mentioned were the ones by Putrajaya and Malaysia Tourism. By 10.30pm, the boat parade ended with all 14 boats gathered at the waterfront for the spectator to view and followed by the fireworks. We make our departure during the fireworks to avoid the horrible jam that is going to ensure. 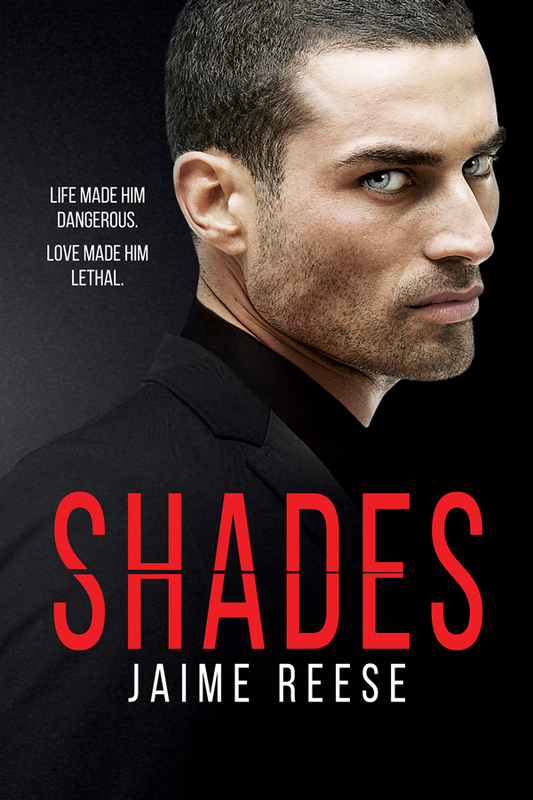 Imagine hundreds of cars trying to escape from the car park at the same moment. If you miss out ‘Magic of the Night’ floral parade during your visit to Putrajaya Floria 2012, you still have three more nights to get yourself there to enjoy the spectacular boat parade. Don't miss it!